Campaign to End the Death Penalty - Dedicated to the abolition of capital punishment in the United States. Capital Punishment (ACLU) - News, resources, and backgounders to death penalty issues and moratorium campaigns. Also see ACLU's The Case Against the Death Penalty. Death Penalty (Council of Europe) - Europe is today the only region in the world where the death penalty is no longer applied. All the Council of Europe's 47 member states have either abolished capital punishment or instituted a moratorium on executions. The Council of Europe played a leading role in the battle for abolition, believing that the death penalty has no place in democratic societies. Death Penalty Clinic - Under the direct supervision of clinical faculty, students at University of California, Berkeley Law, gather life history documents, interview witnesses, and collaborate with experienced capital investigators and a variety of forensic experts. In response to a critical shortage of qualified and adequately funded counsel for individuals under death sentence, the focus of the clinic's work is representing men and women on direct appeal and in capital post-conviction proceedings in several states, including Alabama, Georgia, Louisiana, Texas, Virginia, North Carolina, and California. The Death Penalty Clinic also drafts and files amicus curiae briefs, petitions for writs of certiorari, clemency petitions, and pretrial motions in behalf of capital clients across the country. Clinic students also assist in the representation of clients facing the death penalty at trial, and have done so in Texas, Georgia, Virginia, and Alabama. Through its Lethal Injection Project, the Clinic provides resources and counsel to lawyers in dozens of states challenging the constitutionality of lethal injection as a method of execution. 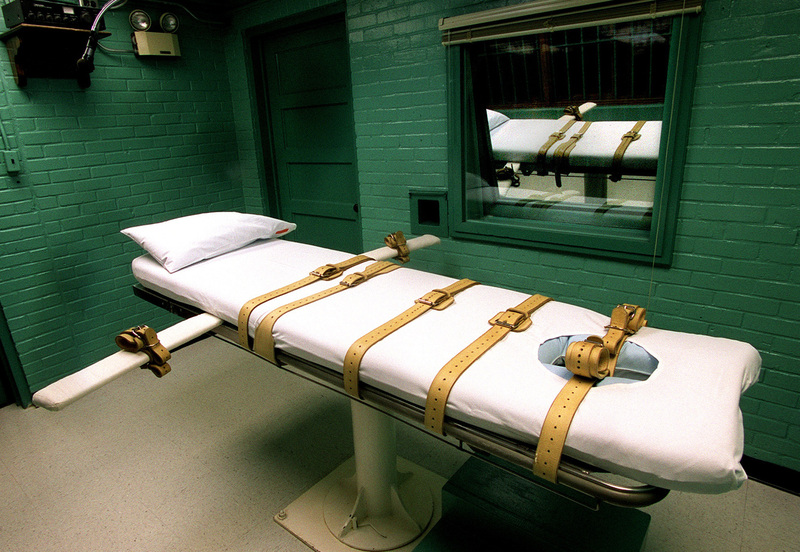 Death Penalty Focus - Seeks an immediate suspension of all executions in California. The goals of the campaign are to create grassroots and political pressure statewide to implement a moratorium on executions because: 1) there is a risk of executing innocent persons; 2) there is discrimination on the basis of race, ethnicity, national origin, geography, or economic status, and 3) unfair and unreliable death sentences are caused by inadequate representation by defense counsel and/or improper and arbitrary conduct by the police and prosecution. President: Mike Farrell. Death Penalty in the United States of America (Human Rights Watch) - HRW opposes capital punishment in all circumstances because of its cruel and inhumane nature. Death Penalty: The Moratorium Campaign - A campaign to obtain an immediate moratorium on the death penalty. The project includes a coordinated global petition drive. Worldwide, over 3.2 million people have signed the petition for a moratorium and the number is growing. Federal Death Penalty Resource Project (FDRP) - A community of lawyers, a team of consulting experts, and an online Web resource dedicated to assisting counsel representing clients in federal capital proceedings. Federal capital cases have been prosecuted, since 1988, pursuant to 21 U.S.C. § 848(e) et seq., the Anti-Drug Abuse Act of 1988, and, since 1994, pursuant to 18 U.S.C. § 3591 et seq., the Federal Death Penalty Act of 1994. Commonly referred to as the "drug king-pin" statute, the 1988 passage of § 848(e)-(q) ushered in the modern federal death penalty era. Enactment of the 1994 statute marked an unprecedented expansion of the federal death penalty and revived every pre-Furman death penalty provision still in existence. As a result of the Federal Death Penalty Act of 1994, virtually every homicide occurring within federal jurisdiction is now death-eligible. Other statutes relating to the prosecution of capital cases include 18 U.S.C. § 3005 (appointment of two attorneys for defense in capital cases); 18 U.S.C. § 3281 (no time limitation on instituting proceedings in capital cases) and 18 U.S.C. § 3432 (requiring disclosure of government witnesses and list of veniremen at least three days before trial); 18 U.S.C. § 3235 (venue in capital cases); 18 U.S.C. § 3599(appointment of counsel and authorization of reasonably necessary investigative, expert and other expenses). National Coalition to Abolish the Death Penalty (NCADP) - NCADP, a coalition of organizations and individuals committed to the abolition of capital punishment, provides information, advocates for public policy and mobilizes and supports people and institutions that share our unconditional rejection of the state's use of homocide as an instrument of social policy. Next to Die, The - Looking back, we know quite a bit about who has been put to death in the United States. Looking forward, there has been no detailed, up-to-date schedule of coming executions. The Next to Die aims to bring attention, and thus accountability, to these upcoming executions. Searchable Execution Database - Data provided by the Death Penalty Information Center. This database includes the county of conviction and gender of victim. Texas Death Penalty Abolition Movement - Dedicated to abolishing the racist, anti-poor death penalty and stop the torture on Texas death row. Also see page presenting the Last Statements of Executed Offenders. Texas Department of Justice: Death Row Information - Info and stats. Texas Coalition to Abolish the Death Penalty - Statewide, grassroots membership organization working to end the death penalty in Texas. TCADP engages in outreach, education, and advocacy aimed at raising awareness of issues related to the death penalty and mobilizing the citizens of Texas - and their elected officials - to support abolition. Virginia Capital Case Clearinghouse (VC3) - A trial-level legal aid clinic providing services to defense attorneys who represent capital murder defendants throughout Virginia. This webpage last updated on Thursday, November 9, 2017 2:32 PM.